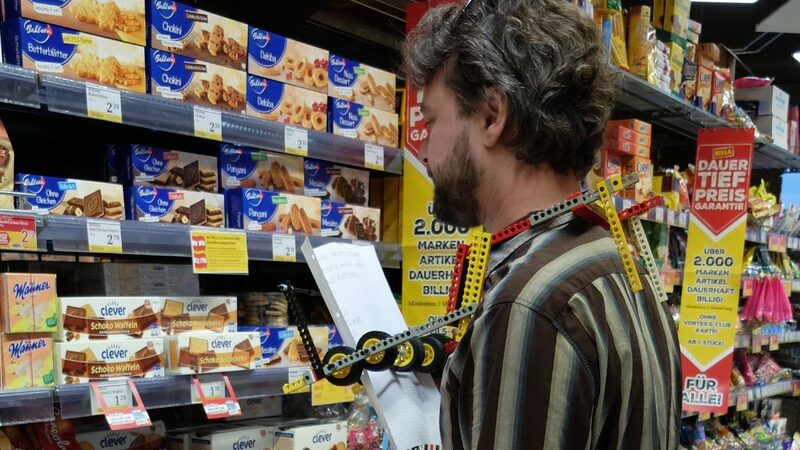 Revolutionary product for hands-free shopping. And guitar serenading. And guided tours. Collaboration with Knuffelbunt Monsterkill, photos by Golnaz Bashiri from Schmiede Hallein 2016. 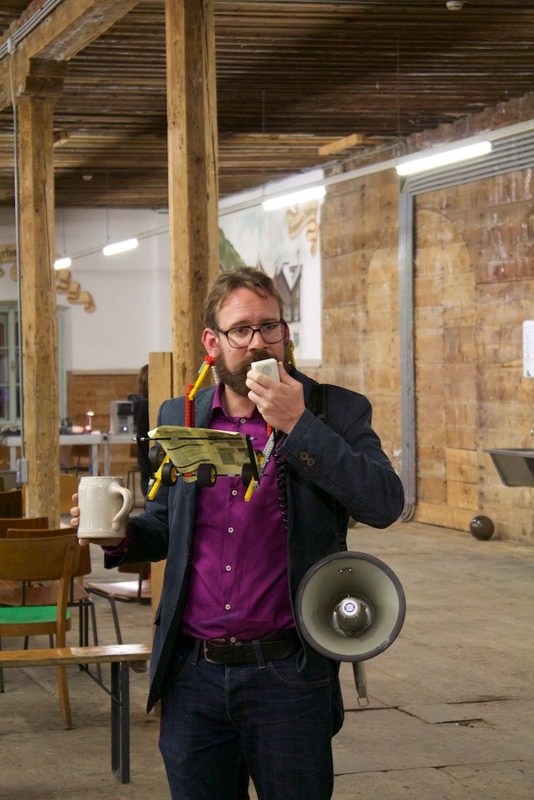 Michael Hackel has hands free for the Schmiede guided tour. No more forgetting the lyrics!